Red Calcite’s included iron oxide means it can be used in the treatment of blood disorders such as anaemia, and abnormal bleeding. Because of its alignment with the Sacral and Root Chakras, in the general area of the hips, it is sometimes applied in the treatment of arthritis and general wear in this area. 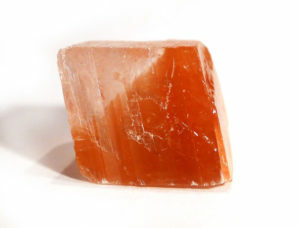 The red-orange colouration of red calcite is due to the presence of iron oxide.